Well, the season of Christmas trees, gingerbread & holiday pandora stations has officially begun! Last year, I did a series of gift guides for the holidays & I thought I’d do the same this year. As the BF & I have recently grown our little furry family by rescuing a puppy, what better way to kick off my ‘Tis the Season’ series than my favorite suggestions for pets? These are the five things my pets (or myself, in the case of the nice smelling poop bags) have been loving & I’m sure any pet would love to receive in their stocking! 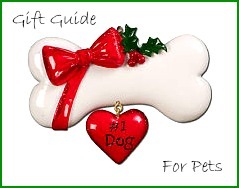 What will your furry families be receiving this holiday season?